It has been a month since Leonhard and I, both ESMT Responsible Leaders Fellows, have been in India working with Welthungerhilfe, and our journey has been nothing less than spectacular. 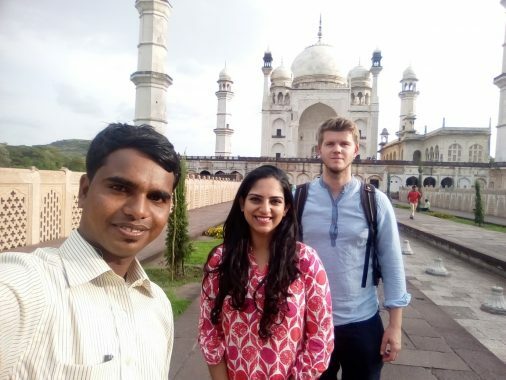 In this past month, we have travelled to several places in India and worked with people from different religions, languages, and societal strata. GIZ has given funds to Welterhungerhilfe to set up â€œGreen Collegesâ€ across India. This initiative promotes sustainable rural development via capacity building and assistance in setting up and promoting microenterprises and other sustainable forms of income generation to control rural-urban migration. The project we took on places us as external consultants for Welthungerhilfe India, and our role is tripartite, wherein we first perform an impact evaluation of the project to date, then based on this we develop a business plan, and eventually assist with defining a brand strategy for scaling up the project. So far about 15 Green Colleges have been set up in 5 Indian states, and we had the opportunity to visit one of them two weeks ago to get a first impression. We travelled to Aurangabad, a city in the state of Maharashtra, by means of a super comfortable sleeper bus, observing beautiful landscapes pass by. Upon arrival, we were received by our hosts, who are also the officials running the IIRD Green College in Aurangabad (the most recently established Green College). We had a series of field visits planned with them where they would not only show us the running of the Green College but also give us the opportunity to conduct focus group sessions with their staff and the past and current beneficiaries. Several presentations and discussions later it was a true joy to walk into a running training session on goat rearing and watch almost 30 local villagers keen to make a living by perfecting the art. They were delighted to have us over; many of the villagers here are not educated above high school level but their determination to learn and apply their knowledge was clearly notable in their zeal during the discussions. They told us all about how they feel these courses support them as they set out to make a living for their families. It was also a joy to see many women attending the sessions. Despite belonging to a predominantly patriarchal society, they were just as determined to contribute to their families’ earnings, perhaps an early sign of long overdue change and economic development in rural India. 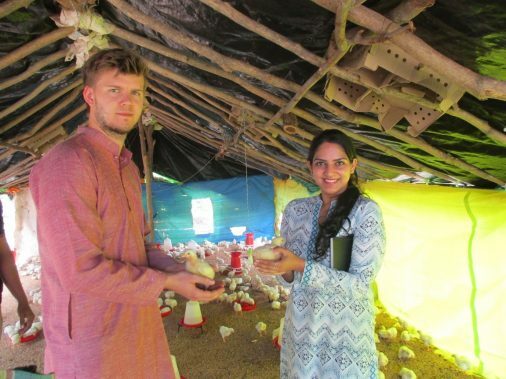 We then visited the farm of two of IIRD Green College’s recent graduates who completed a course in poultry management and have even established their own microenterprise. As a result of their training, the two sons of a poor farmer who once relied on the unpredictable monsoon to support the family’s income through sugarcane plantation have now established a year-round sustainable income. Their happy faces, the pride in their father’s eyes as they showed off their new business to us, and the satisfaction visible among the IIRD Green College staff who took us on the field visit was truly a delightful sight. Something that Leo and I learned that day was that no matter how small the impact you think you may be making, its effects are always magnified when done with dedication and commitment to the greater cause. 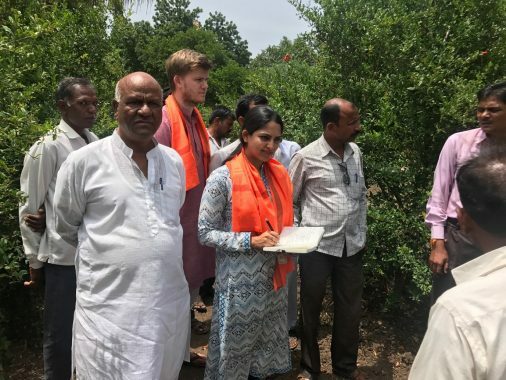 We were also amused to see how hospitable the poor farmer and his family were: as soon as we arrived they rushed to bring us water and fresh fruit from their farm. Their big hearts despite their shallow pockets were admirable! Next, we were taken to another village where the IIRD Green College staff along with other CSR contributors had established a water conservation project to support the village farmers. The village, run by its â€œsarpanj,â€ welcomed us in their meeting hall, where all the key villagers had gathered to witness our arrival and assist us in our project. A small ceremony was performed where Leo and I were each presented with a shawl and a coconut. We were told that Indians believe that a guest is the equivalent of God. That is why we were given this special welcome as guests of the entire village. We were then taken to various village farms and shown the different drip irrigation methods employed by the farmers after training at the IIRD Green College. They told us about how their lives had improved because of the assistance of Welthungerhilfe and the Indian government. We conducted various focus group sessions here to understand the full impact so far and its potential future scope. 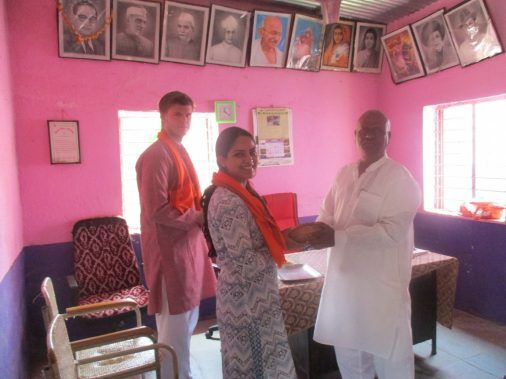 Overall, in the course of this one month, we have seen and learned a great deal about rural India, the efforts by the local governments and external agencies such as Welthungerhilfe to uplift the economy, and about the grassroot-level agricultural industry. Over the next months we will endeavour to travel to East India to study the impacts of the Green Colleges there through a series of field visits, case studies, focus group sessions, and surveys. 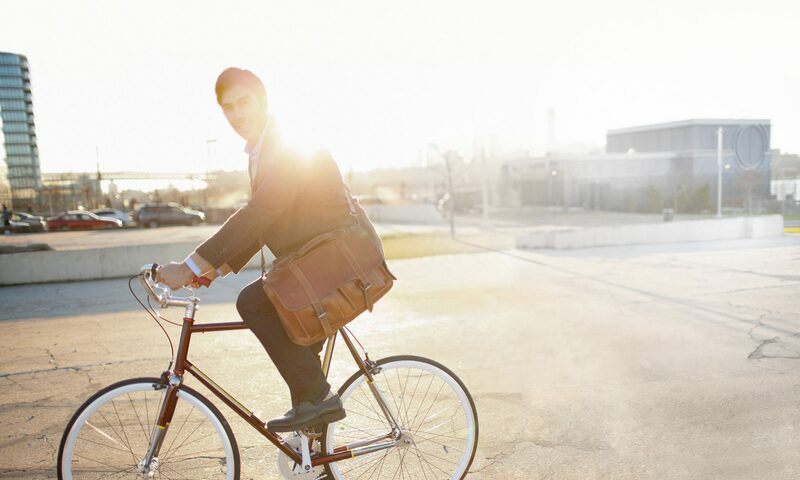 Along with our work schedule, we have also managed to establish a good sightseeing balance. Each time we visit a new city or state we try to accommodate some exploration into the local culture, food, and architecture. For instance, in Aurangabad we had the chance to visit the famous Ellora Caves as well as the mini Taj Mahal known as the Bibi ka Makbara.